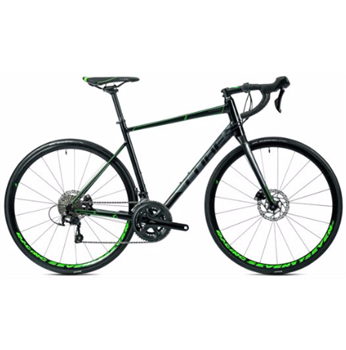 The Attain SL Disc is a balanced and dynamic racing bike with an extremely efficient yet comfortable ride position. A high quality, aluminium frame and quality groupset create a lightweight package. Disc brake technology is a great addition, providing great stopping power in all weather. The Attain SL Disc is finished off with Fulcrum Racing 77 Disc wheels. With high levels of tension and stiffness, they ensure consistent performance over time.